Supplementary material reads: "Chernus --Long Beach. Long Beach Buick co. fire. Two negs show some of eight cars burned by fire. Firemen are shown spraying water on blazing cars. 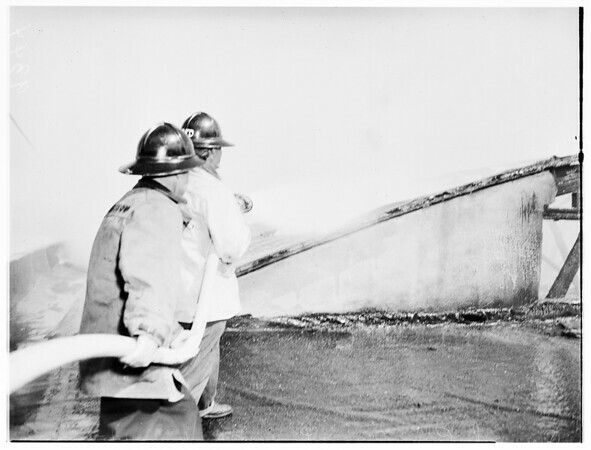 Two negs taken from roof shows firemen fighting blaze which caused $100,000 in damages".